I have purchased metals from Christian on three severe occasions . Each time he very professional and knowledgeable . I highly recommend Regal Assets. Purchase of metals I have purchased metals from Christian on three severe occasions . Each time he very professional and knowledgeable . I highly recommend Regal Assets. Mr. Howard was sent to me from above! I wanted to add gold to my portfolio but didn't know where to begin. My ignorance kept me from taking my next step but then Mr. Howard came to me. He answered all of my questions without making me feel stupid. He took such great care of me, I felt confident that I was in good hands. I am excited about all of my future purchases because I know I have someone I can trust. The company sent e-mails updating me as to the progress of my purchase so I was never in the dark. I can't imagine doing business with anyone else. Thank you Regal Assets and an even bigger thank you to Mr. Howard. Christian Howard is the best... Mr. Howard was sent to me from above! I wanted to add gold to my portfolio but didn't know where to begin. My ignorance kept me from taking my next step but then Mr. Howard came to me. He answered all of my questions without making me feel stupid. He took such great care of me, I felt confident that I was in good hands. I am excited about all of my future purchases because I know I have someone I can trust. The company sent e-mails updating me as to the progress of my purchase so I was never in the dark. I can't imagine doing business with anyone else. Thank you Regal Assets and an even bigger thank you to Mr. Howard. I began working with Colin over ten months ago. I had just suffered a significant loss through another investment company and while I still recognized the importance of investing, I was very apprehensive about making another financial commitment. Colin was extremely patient and helpful in assisting me to select the investment vehicle most suited to my resources and risk tolerance. Colin is very knowledgeable and I especially appreciate that he makes himself readily available to discuss clients' concerns and investment strategies. I have been very satisfied with our transactions and look forward to continuing to work with him. Colin Plume, Senior Account Executive I began working with Colin over ten months ago. I had just suffered a significant loss through another investment company and while I still recognized the importance of investing, I was very apprehensive about making another financial commitment. Colin was extremely patient and helpful in assisting me to select the investment vehicle most suited to my resources and risk tolerance. Colin is very knowledgeable and I especially appreciate that he makes himself readily available to discuss clients' concerns and investment strategies. I have been very satisfied with our transactions and look forward to continuing to work with him. Christian did a good job of explaining option for investing for a first time investor. He followed up appropriately and professionally. Good Service Christian did a good job of explaining option for investing for a first time investor. He followed up appropriately and professionally. 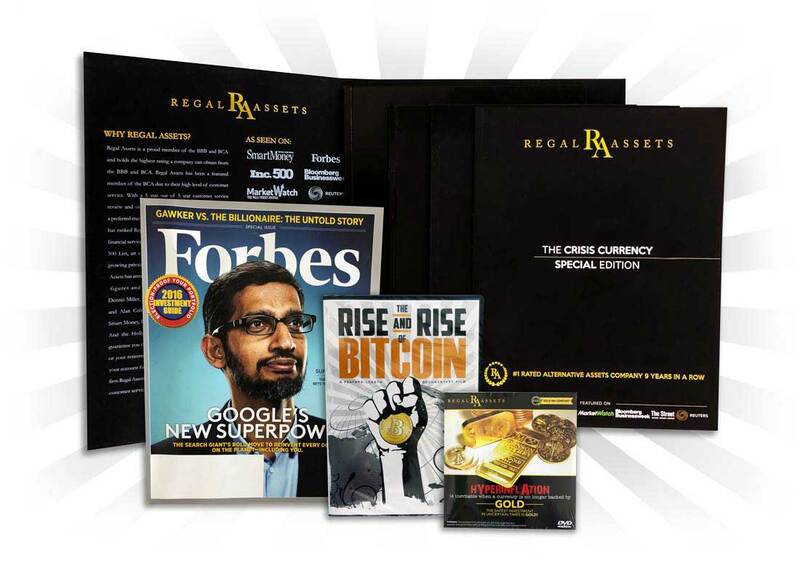 I recently purchased precious metals from Regal Assets with the sound advice of my representative, Christian Howard. At first, I was unsure of what exactly to purchase for my portfolio, however, after consulting with Mr. Howard, I was confident that his advice was exactly what I was looking for. Review 9/9/2011 I recently purchased precious metals from Regal Assets with the sound advice of my representative, Christian Howard. At first, I was unsure of what exactly to purchase for my portfolio, however, after consulting with Mr. Howard, I was confident that his advice was exactly what I was looking for. Not only was Mr. Howard extremely knowledgeable about precious metals, he also earned my trust because of his personal attention. He was always on top of my order and kept me informed all the way. My entire experience was really something that was extraordinary. It left me thinking that I will most definitely purchase more precious metals very soon and with Christian Howard as my portfolio consultant. I believe Regal Assets to be a reputable, sound and honest company and it was a pleasure doing business with them. gold is in high demand and Regal Assets made a diligent effort to provide my order. The shipping did take a little while, but given the high demand for gold in general right now, and their guarantee of a free silver eagle if your package doesn't come in seven days of shipping, it turned out awesome for me. I want to give a special thanks to Cesar Vasquez, because although I grew nervous and impatient, he was ready anytime to address my concern. When I call, I'm going to be asking for Cesar. Thanks again, will order again FOR SURE. Latest purchase 8/26. Review 8/3/2011 I am very pleased to report that I received my first package of precious metals from Regal Assets today. Putting my dollars into gold and silver is something I have pondered for a while. I can't tell you the peace of mind I feel now that I have a tangible investment that is regarded as "precious" in every country around the entire globe. One doesn't have to know much about politics or economics to understand that the dollar continues to buy less and less every day. The interest that my bank pays on my savings doesn't even come close in comparison to the decline of its value. I work way too hard for this to happen. The realization of this is what finally got me to call Regal Assets. I would like to thank my account manager, Collin Plume, for all of the advice and information that he gave to me based on my situation. I would strongly urge anyone reading this to call him. He made the entire experience, from start to finish, comfortable. I am satisfied and grateful beyond my expectations. I look forward to making another order soon. Review 7/31/2011 Being new to the precious metals market, I was very skeptical about the reviews of various companies I was reading about. Regal Assets was last on my list, but I wish it was the first! Christian was the gentleman who answered my phone call. He detailed the whole process and answered all of my questions. I can weed out "fake" people, and he isn't one of them. There was no sales pressure in deciding what I should purchase and why. After the transaction, Emily kept me updated with daily emails about my purchase which arrived on time. Both were available to answer any further inquiries I had. Hat tip to Christian,who set my mind at ease, otherwise I would not have bought into precious metals. Great company, great associates, with great communication. Something very rare in business today. Highly Recommended! !